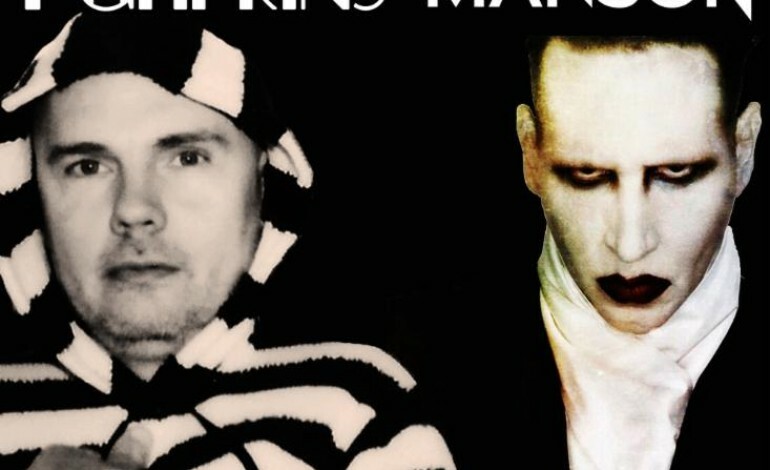 The Smashing Pumpkins and Marilyn Manson have announced that they will be co-headlining a tour in summer 2015, called The End Times Tour. The tour is in support of Manson’s 2015 album The Pale Emperor and The Smashing Pumpkins’ late 2014 album Monuments To An Elegy. It spans the United States, beginning in Connecticut in early July and wrapping up in Ohio in early August. Tickets for the joint tour will go on sale Friday, April 3. To see the full tour schedule, scroll down the page. It seems that this year will have a heavy focus on music for Manson, who was making headlines for several other reasons in 2014. He had a recurring role in the TV show Sons of Anarchy last year, and courted controversy when a video surfaced featuring Lana Del Rey and Eli Roth in a depiction of sexual assault that was said to be for a Marilyn Manson music video. Representatives for Manson maintained that he was not involved in the making of the video and was not planning to use it for any music videos. Manson later explained that Roth was testing out a new camera, and that is how the footage originated. Shortly after the controversy, Manson released an actual music video for his track “Deep Six” from The Pale Emperor. The Smashing Pumpkins reissued their Adore album in fall 2014, along with three discs of previously unreleased music. They also toured at the end of the year with Mark Stoermer of The Killers and Brad Wilk of Rage Against the Machine. The Billy Corgan-led group released several tracks leading up to the release of Monuments to an Elegy, including “Being Beige” in October and “One and All” and “Tiberius” in November. The Smashing Pumpkins just released a music video for their track “Drum + Fife” as well.